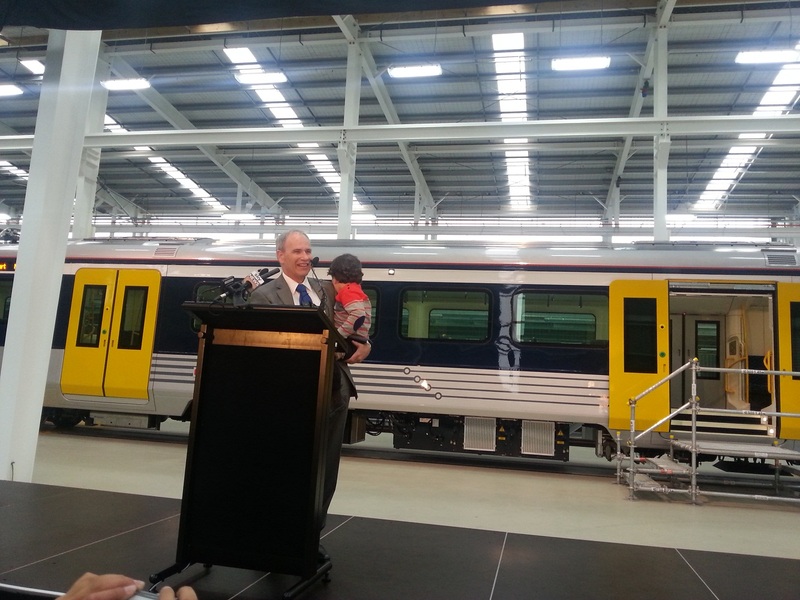 Cr Mike Lee was acknowledged today by the Mayor Len Brown as instrumental in bringing electric trains to Auckland at the unwrapping of the first train to arrive from Spain. The trains will be gradually introduced into passenger service on a line by line basis until all 57 electric trains are in service later in 2015. 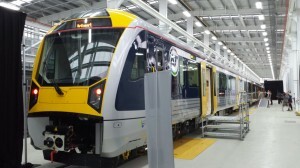 These trains will replace Auckland’s ageing diesel fleet. Mike Lee was Chairman of the Auckland Regional Council when funding was secured from the Clark/Cullen Government (backed by the Green Party) for the electrification of the Auckland rail network in 2007. After the unveiling Mike recalled that it’s been a long and sometimes difficult road. 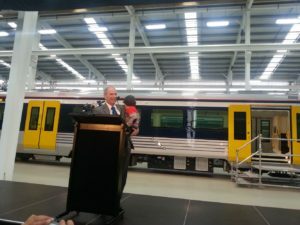 “As I listened to the excellent speeches of Mayor Len Brown and others I recalled a meeting organised by Keith Locke and the Green Party to support the ARC’s battle to convince the government to electrify Auckland’s rail network. It must have been 2007 and it was in a church on Queen Street (since demolished). Apart from making the obvious joke about ‘preaching to the choir’ I predicted that electric trains would not only transform Auckland – but transform the way Aucklanders think about their city. 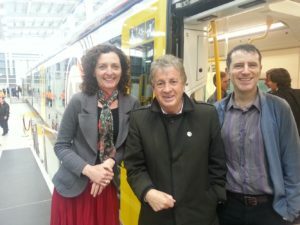 Christopher Dempsey, City Vision member of the Waitemata Local Board took his bike along to try out how well the new trains can carry bikes. The carriage has been designed with the ability to hold up to three bikes. 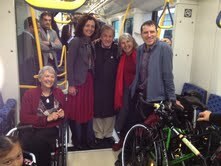 Wider doors mean that passenger flow, on and off the trains, will be faster and easier for people with disabilities. Wheelchair users and others who are mobility impaired will be able to use automatic ramps on the central carriage doors providing a seamless transition been the platform and the train. Everyone at the event was hugely impressed with the stunning new kit and excited that electric trains have finally arrrived providing the best of European standards but tailored to meet Auckland’s needs. 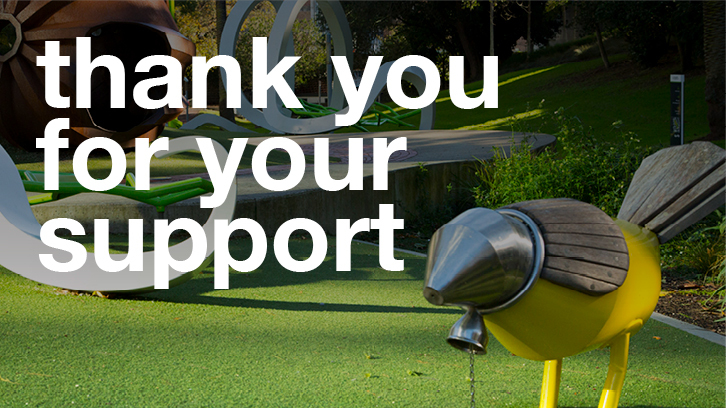 Mike Lee and City Vision are committed to building the City Rail Link to maximise the benefits the electric trains by providing a complete network and efficient, reliable service. 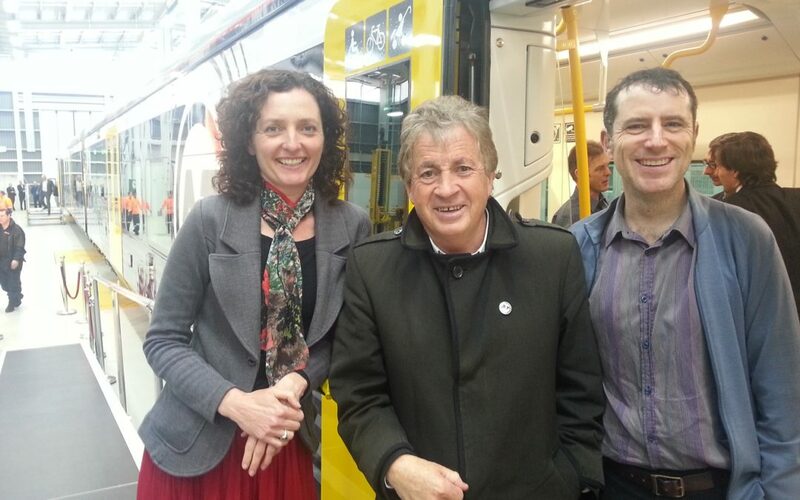 I proudly rode the first train that restored rail to Onehunga and now I can’t wait to ride the first electric train when it enters service in April on the Onehunga line.